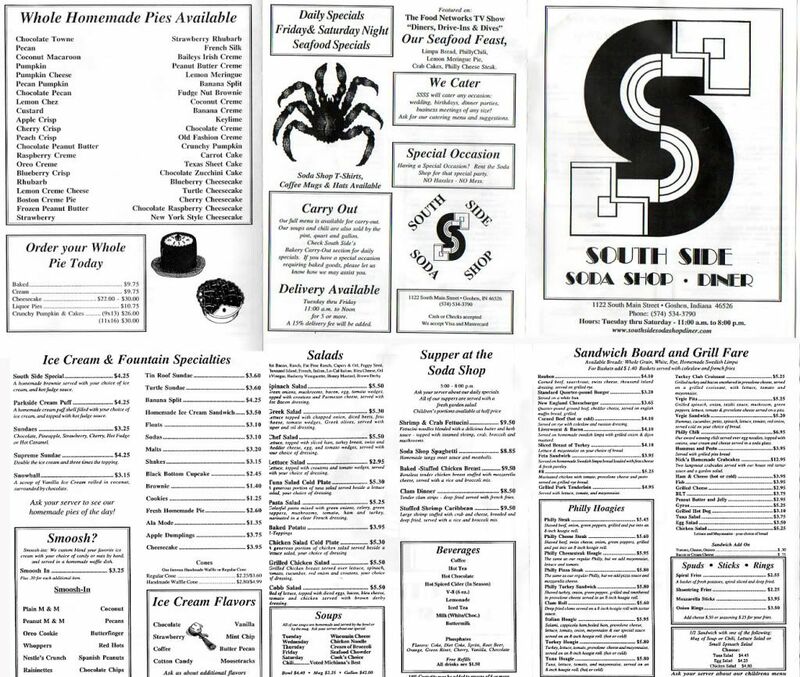 The South Side Soda Shop and Diner is on South Main Street just south of Downtown Goshen. It’s sits on the corner an the only parking is in the neighborhood on the streets. We pulled up near dinner time on Friday night, so there was already quite a crowd of people packing the small diner. We parked a few blocks down and walked back. When we walked in, there was one larger group in front of us waiting to be seated. We squeezed into the tiny waiting area so we could get the hostesses attention. The diner has basically two rooms. There’s the traditional soda shop and counter in the back room. This area has 60’s style tables and a lunch counter where you can watch the cooks at the grill top. The front section has booths lined on either wall. This is the room that looks out over the road. Since it was just the two of us, we were told to grab a booth in the front dining room. The wall not near the windows are all booths for two and since the other group was larger, we got a table with no wait. The waitress came over with the specials board which is written on a dry erase board. She found us a couple menus and went to get drinks. I just ordered a Coke, but J got a vanilla phosphate. Even the phosphates had free refills and there are very few places left to actually get one, so J was really excited about that. When the waitress came back, we had made our decision. I got the New England Cheeseburger. The quarter pound ground beef patty was topped with cheddar cheese and served on a toasted English Muffin. The English Muffin looked like two pieces of bread to me, but it was toasted so well, I didn’t care. It was delicious. The sandwich was cut into the thirds for some reason. It made it a little easier to eat, but didn’t really serve any other purpose. 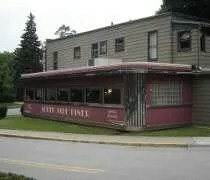 The sandwich was classic diner fare at it’s best. I upgraded to a basket which included fries and cole slaw. J took my slaw, but I polished off the fries. J had a pretty late lunch so she wasn’t super hungry. She ordered a grilled cheese. Nothing special, but really delicious. Again, typical diner fare that was better than average. She declined the basket because we were really there for dessert. After finishing our meals, the waitress asked if we wanted to see the pie tray. They actually bring out a big tray with slices of today’s pies on them so you can get a look at them before ordering. It was a pretty popular feature for the tables around us, but we wanted ice cream. J ordered the South Side Special. The dessert came in a stainless steel cup with a brownie, vanilla ice cream, and hot fudge sauce. She was nice enough to share. I love the combination of brownie and ice cream. I used to bake brownies just to eat them with ice cream. This creation was delicious and between the two of us, we polished it off in a matter of minutes. I ordered a vanilla shake. The waitress brought out the steel cup that it was mixed in plus another glass for me to pour it in. There’s more in the steel cup than will fit in the plastic cup, so you actually get about a cup and a half. The shake is thick enough that it’s hard to drink through a straw, but not quite thick enough for a spoon. I eventually gave up and just drank it. It was awesome. We were both shocked when the waitress brought our bill. The total for all that food was under $19. Seriously. We left with full bellies and I actually hurt for quite a while. I ate way to much. The South Side Soda Shop and Diner was definitely worth the detour. It’s a classic diner that serves up some really great food. I’m glad we finally got an opportunity to make the stop…..since I screwed up on our first attempt. There’s definately a great deal to find out about this subject. I love all of the points you have made. 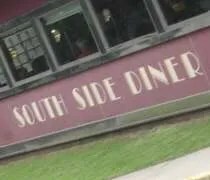 Hi there,I log on to your blogs named “South Side Soda Shop and Diner – Goshen, IN | Mid-Michigan Dining” regularly.Your story-telling style is awesome, keep it up! And you can look our website about تحميل اغانى.